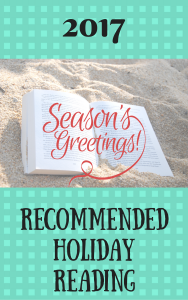 The end of the calendar year is coming, bringing with it school holidays, the Christmas break, Hanukkah, Kwanzaa, the solstice and other observances and festivals, including the new year! Whatever the occasion – it’s always a good time for a book, am I right? Seems a good time to suggest a recommended reading list of the books I’ve enjoyed this year! 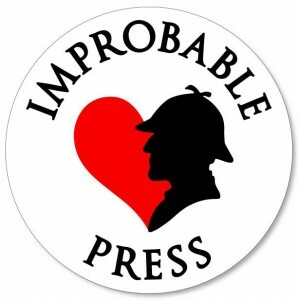 Pardon the blatant plugging, but I have stories in a couple of fantastic anthologies that have been published over the year which you might enjoy, especially if you enjoy crime, adventure or fantasy! 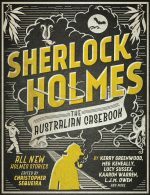 Sherlock Holmes: The Australian Casebook is a collection of stories set in Australia (and on a boat to New Zealand) in 1890. Authors include Kerry Greenwood cowriting with Lindy Cameron, Lucy Sussex, Steve Cameron, Meg Keneally and Jason Franks! And then.. Volumes One is an absolute treasure trove of great fiction by Australian writers, including Sulari Gentill, Jason Nahrung, Alan Baxter, Jason Franks, Lucy Sussex, Amanda Wrangles, Evelyn Tsitas, Peter M Ball, Dan Rabarts, Kat Clay, Sophie Masson, Tor Roxburgh, Emilie Collyer and Tansy Rayner Roberts. I’m especially delighted with Scarlet Stiletto: the Ninth Cut 2017, as it contains my Award-winning ghost/crime story Jane. In fact, every story in the volume is an award winner, by fabulous new Australian crime writers. I have novels and short stories out too, like the action-filled paranormal thriller/gay romance Ravenfall ,and lesbian romance Near Miss! But it’s not all about me, I know that. It’s also about Emily Larkin, whose Baleful Godmother series has been a delight all this year. 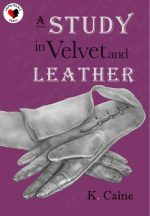 The sixth book of this magical regency series of books and novellas has just been released, but you can start with the delightful Unmasking Miss Appleby, then dash right along with Resisting Miss Merryweather, Trusting Miss Trentham, Claiming Mister Kemp, and Ruining Miss Wrotham before finishing (for now) with Discovering Miss Dalrymple. 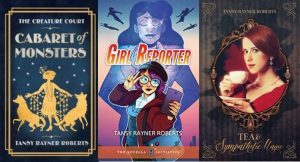 Tansy Rayner Roberts has been another joy this year (and every year) with her Belladonna University/Fake Geek Girl and Castle Charming novella series, her Patreon posts and pretty much just everything she writes. I interviewed her recently, so you can find links of books to love right there. Her brand new book, Girl Reporter, is due out on 19 December too! More gruesome splendour is provided by Emma Viskic, whose And Fire Came Down, is every bit as good as its award-winning predecessor, Resurrection Bay. Full of action, drama, serious injury, and featuring a cast of diverse supporing characters and a deaf protagonist. Highly, highly, highly recommended! I also want to wave flaily hands at Gillian Polack’s The Wizardry of Jewish Women, because it displays her customary wry wit and intricate world-building in a seemingly innocuous domestic setting with suburban Australia. Get The Wizardry of Jewish Women in Mobi or Epub formats at Bookview Cafe. That’s enough fiction of various types to be getting on with. If you want to try some more ideas, just search my blog on the tag ‘reviews’ for suggestions. Enjoy your break, if you get one, and may every book you read be golden! And please – if you have a great book recommendation for the 2017-18 transition, please leave a comment, and maybe even a link!